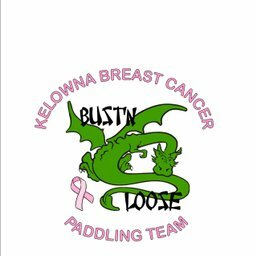 We are a group of breast cancer survivors based in Kelowna, British Columbia, who paddle for fun to raise awareness about breast cancer and to support breast cancer research. We participate in dragon boat festivals each year, with members pushing themselves to new limits as either paddlers or members of the support crew. Why I volunteered here: Bust'n Loose members set up information tables at The Women's Place and the Kelowna Cancer Centre to bring awareness to the general public in support of Breast Cancer Awareness month. Why I volunteered here: To support UBCO and participate in its Relay for Life. Cancer Ambassadors in the relay. Why I volunteered here: To support Okanagan Mission Secondary School in its Relay for Life, a community fundraising event where students join together in the fight against cancer. Why I volunteered here: To educate our community on breast cancer awareness. Why I volunteered here: Golf BC donated to the BC Cancer Foundation for a new PET/CT scan for the Kelowna Cancer Centre.